The terroir Terroir on the right bank of the Tarn, on argilloarenaceous soils typical of the plains adjoining the first hills. Age of the vines 30 years Grape variety 80% Duras, 15% Syrah, 5% Braucol Vinification Saignée rosé with cold stabilization and vinification at low temperature. Awards received by the vintage Médaille d'Or with 86/100 - Guide Gilbert & Gaillard 2017 Médaille d'Argent - Concours des Vins de Gaillac 2017. Notre vinification traditionnelle avec la coloration naturelle des raisins, lui confère une teinte rosée soutenue qui égayera vos moments de convivialité estivaux. Il saura vous charmer par la douceur de souvenirs de fruits exotiques, ses notes épicées et réglissées, permettant d'accompagner avec succès vos mets les plus variés, notamment des repas de type méditerranéens. A servir frais (8 à 10 °C). 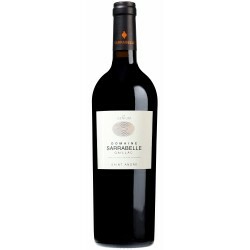 Vine-growers since 1795, Domaine Sarrabelle, from the legend to the expression of the terroir. Legend has it that the Sarrabelle source that gushes near to the Medieval Château de Montaigut was the place that those in love with the beautiful Yolande met. The name comes from the Occitan "Sarro-bello", to take the beautiful one in one's arm... The Château, destroyed during the Albigeois Crusades, had its lower parts still standing and above it was built the Chapel of Montaigut. Today, Laurent and Fabien Caussé (eighth generation of wine-makers on the estate) gave the name of this source to their wines. 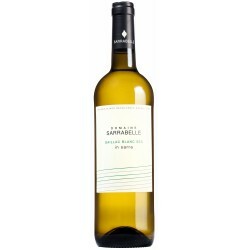 From traditional "vin de pays", to top of the range wines, such as the Saint André and the Mauzac de Sarrabelle. Ongoing research and respect for traditional agriculture has resulted in the creation of a limited edition vin doux, served at some of the best tables. Tradition, innovation and quality is the Caussé brothers' motto.